With one of the world’s most celebrated dates less than a week away, we couldn’t help but notice how so many holiday traditions are centered around our homes themselves, the heart and soul of families everywhere. From stringing up vibrantly-colored lights to hanging fragrant wreaths outside the door, spreading holiday cheer requires one to adopt a heap of decorating measures that have stood the test of time. So, in the spirit of the holidays, we thought we’d deconstruct five of our cherished at-home holiday traditions. The next time someone comments on the holly gracing their dinner plate, you’ll have a story to tell. Why do living trees become the adored centerpieces of our holiday decor each season? The tradition dates back to medieval Germany and northern France, where plays recounting the creation of the world were a popular mid-winter tradition. In every production, performed on the 24th of December, there was a tree on stage decorated with apples and ribbons, which symbolised the tree of life in the Garden of Eden. It was Queen Victoria who made Christmas trees fashionable in Britain after her German husband, Prince Albert, decorated his own at Windsor Castle in 1841. Also known as the “Festival of Lights,” Hanukkah, like Christmas, is celebrated during the darkest days of the year and incorporates light for both religious and seasonal reasons. The candle-lighting holiday is a warm, cozy ritual to celebrate the miracle that occurred when the Maccabees (a clan of Jewish freedom fighters) reclaimed the Holy Temple. Upon reclaiming the Temple, the fighters found only enough oil to light a lantern—by which to read the Torah—for one day, yet the lantern blazed for eight full days. 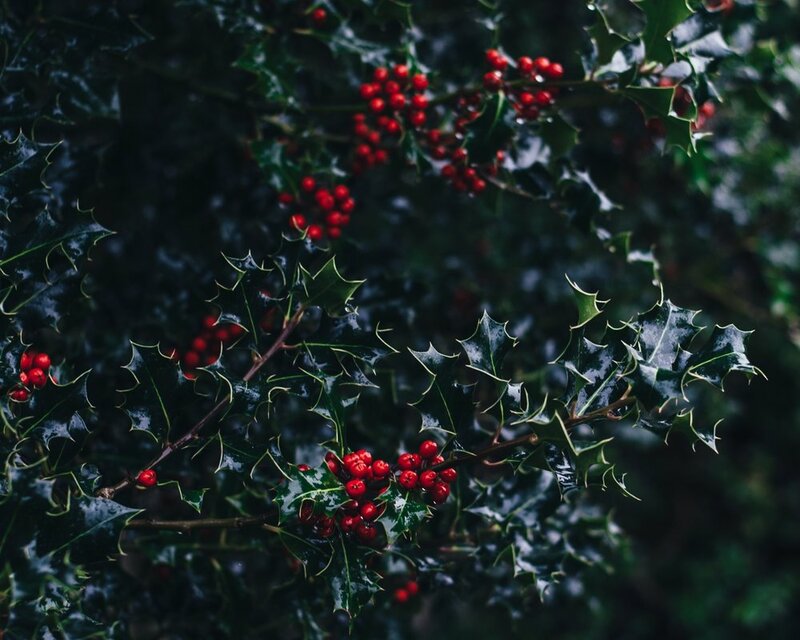 Decorating the home with evergreens like holly, mistletoe, and fir trees is linked to pagan observances of the solstice. For early pagans, these plants were seen to have magical properties because they did not lose their leaves in winter—they remained evergreen—thus symbolizing hope for the coming spring. Greenery was also brought inside homes to brighten them up in the bleak season. And those popular Christmas wreaths? Beyond being a hopeful sign of warmer days to come, the green foliage symbolizes everlasting love while the circular shape represents the never-ending cycle of God. History suggests that hanging stockings by the fireplace actually has roots in a story about Father Christmas, who began as Saint Nicholas, a bishop of Myra (in modern-day Turkey). A generous man, Saint Nicholas was noted for his kindness to children, upon whom he bestowed gifts having first established their good behavior during the preceding year. He was also a shy man who was happier imparting charity anonymously. It is said that he once climbed the roof of a house to drop a purse of money down the chimney, and can you guess where it landed? In a stocking hung in the fireplace to dry. Outdoor Christmas light displays evolved from decorating the traditional Christmas tree and house with candles during the Christmas season. The tradition of lighting the tree with small candles dates back to the 17th century and originated in Germany before spreading to Eastern Europe. The small candles were attached to the tree branches with pins or melted wax (surely this wasn’t the safest custom). During the 1880 Christmas season, Thomas Edison introduced the first outdoor electric Christmas light display to the world. He displayed the lights outside of his laboratory compound, which sat near a railway where many people could see it each night. Newer PostWould you sell your home for Bitcoins?